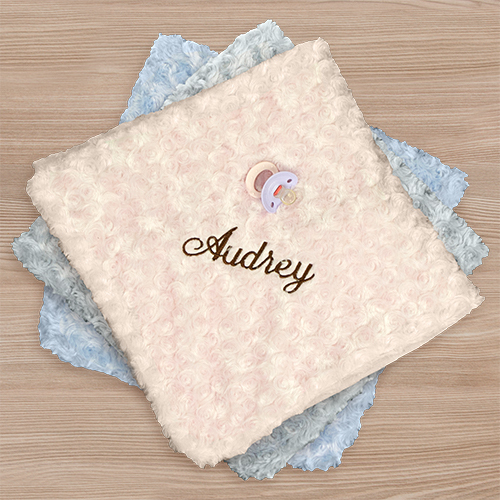 Give your new baby a gift they will love to be wrapped up in with this Embroidered Curly Plush Baby Blanket. 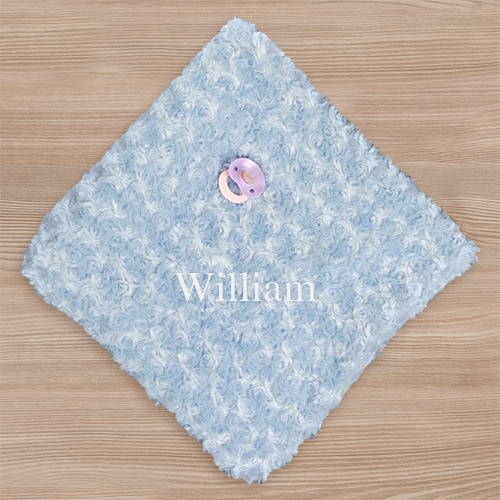 We will custom embroider Personalized Baby Blankets with any name and your choice of thread color. 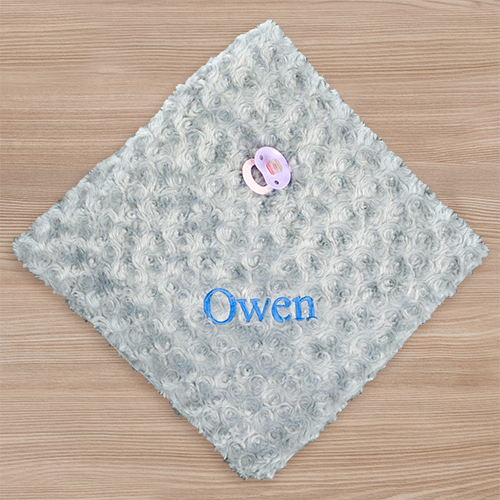 Makes a great gift for any new baby or baby shower gift! So soft! My daughter loved it for the baby! Very soft and great size. I went with the gray with teal embroidery...name didn't stand out that good.